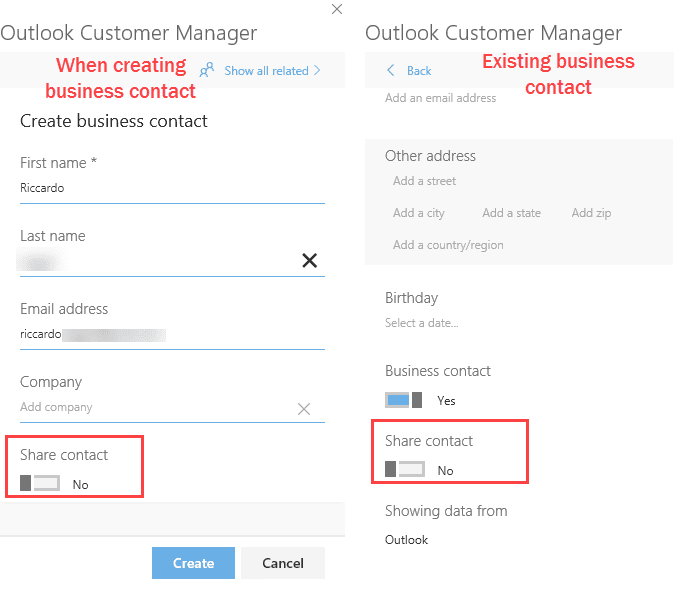 You can easily share contacts, companies and deals with the other members of your Customer Manager team members using Office 365 Outlook 2016 Customer Manager. To share selected contacts, companies, or deals, as you are creating a contact, company, or deal, slide the Share switch at the bottom of the form. To stop sharing, slide the Share switch to the Off position. On existing contacts, companies, or deals, open the business contact item and click View Details then click the Share switch at the bottom of the form. Click Save when finished editing the item.